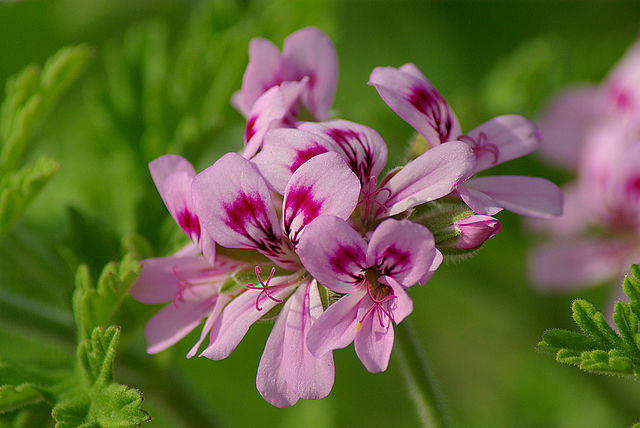 Geranium essential oil is steam distilled from the leaves of the Pelargonium graveolens herb which is native to parts of Africa. These days you are likely to find a cultivar of this species in a hanging basket on someone's front porch. 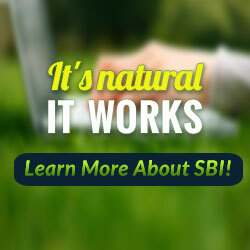 Said to be helpful for skin problems like eczema, dermatitis, psoriasis and shingles. Has astringent, anti-septic, anti-depressant, anti-biotic, anti-spasmodic, anti-infectious and insecticidal properties. Is beneficial for acne, athletes foot, bruises, burns, depression, lice, nervous tension, PMS and wounds. Suitable for both oily and dry skin. Best to avoid during pregnancy and can cause sensitivity in some individuals. Is a greenish-yellow color and has a slighty minty, rose-like, herbaceous scent. Blends nicely with basil, bay, citronella, orange, fennel, grapefruit, jasmine, juniper, rose, bergamot, clary sage, sandalwood, lavender, chamomile, lemon, lemongrass, neroli and nutmeg.